The XA 4Y.F Series is designed for weighing large filters. 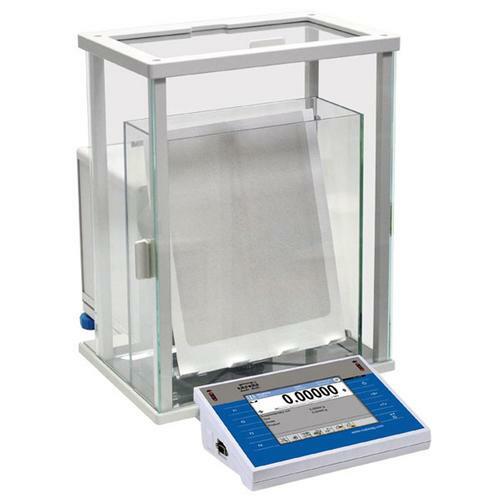 XA 4Y.F features a weighing chamber and a weighing pan dedicated for weighing filters with maximum dimensions of 210×260 mm. Alternatively, a standard weighing pan can be utilized for regular weighing processes. Inside the weighing chamber and over the weighing pan, there is a large draft shield made of conducting glass for discharging static electricity (in addition to providing anti-draft protection).